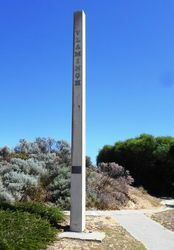 An obelisk commemorates the landing of Willem de Vlamingh on Cottesloe Beach. 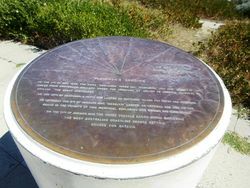 The memorial consists of an obelisk with a plaque, a paved area with two concrete plinths with white metal plaques outlining the course taken by the ships, and a brass plaque set on a circular concrete pipe. In 1696 Willem de Vlamingh was instructed by the East India Company to proceed with the Geelvinck and two other vessels to examine carefully the South Land or the Land of Eendracht and also to inquire into the fate of the Ridderschap van Holland, which had left the Cape for Batavia in 1694. On Christmas Day, 1696, they sighted land, and on 29 December anchored off the shore of a large island, upon which they landed on the following day. On exploring it they were struck with the large number of rats` (wallabies) nests to be seen, and gave it the name of Rottenest Island. Some pieces of wreckage were discovered, but there was nothing by which they could identify the vessel they were endeavouring to trace. From the higher parts they could see the mainland distinctly, and from the smoke rising here and there from among the trees they gathered that natives were present. 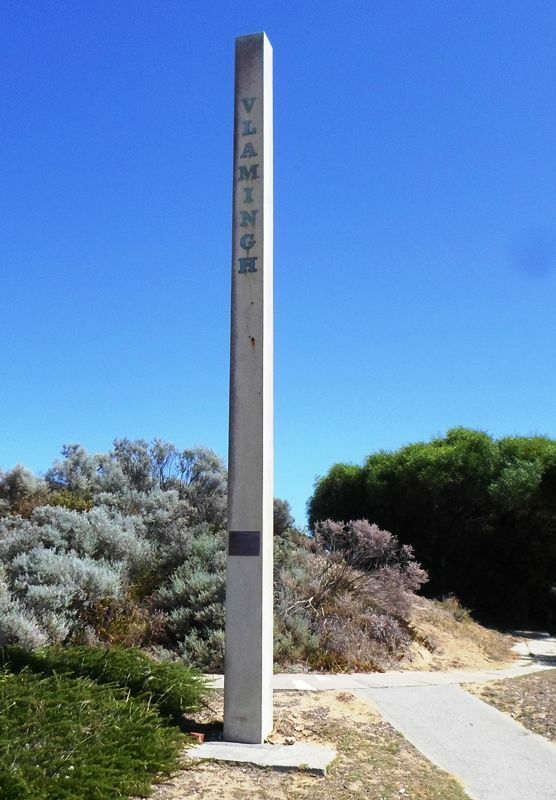 On 5 January 1697, Vlamingh with eighty-six well-armed men landed on the shore somewhere in the neighbourhood of Cottesloe Beach. On the 3rd of May, 1696, the ships "Geelvinck" (Crew 134) ":Nijptangh (50) and "Weseltje" (14) sailed from Amsterdam, Holland. 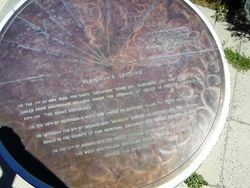 Under the command of Willem de Hessels Vlamingh to explore "The Great Southland. On the 30th of December, a party was landed on Rottnest Island for water and firewood. On Saturday the 5th of January, 1697 "Weseltje" landed 86 officers and men on the beach in the vicinity of this memorial, exploring and naming the Swan River. On the 13th of January, 1697 , the three vessels sailed north exploring the West Australian coastline before setting a course for Batavia.